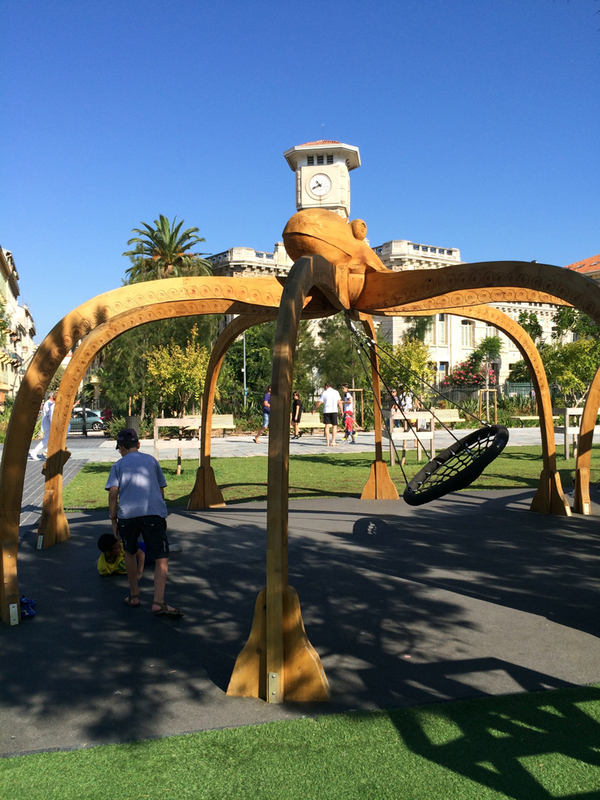 The Promenade du Paillon in Nice, France is a wonderland for children and adults alike with lush gardens, creatively paved walkways, and unique water features. It opened in October 2013 after 3 long years of construction that included the demolition and relocation of the bus station. The promenade was constructed over a river of the same name that was covered over in the 19th century. The river still exists below the promenade and flows from it's source, Lucéram, in the Alpes Maritimes into the Mediterranean Sea near Nice Old Town (Vieille Ville).